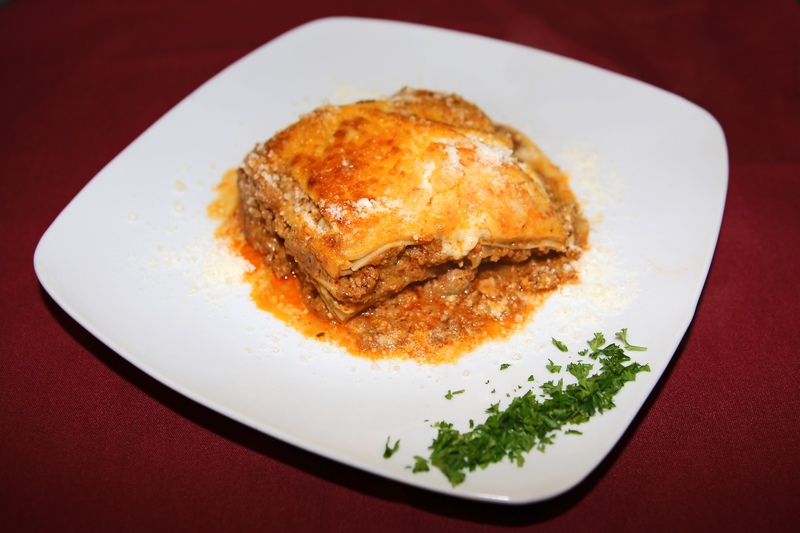 A house specialty…with organic Beef, Veal, Pork and Prosciutto, layered with our fresh lasagne noodles Parmigiano Reggiano & Besciamella Sauce. 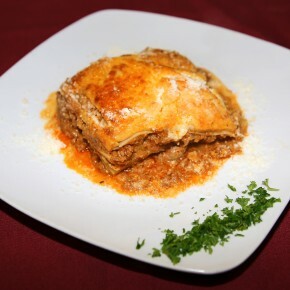 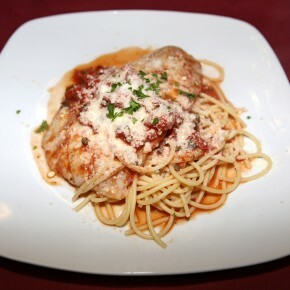 The classic meat lasagna is. 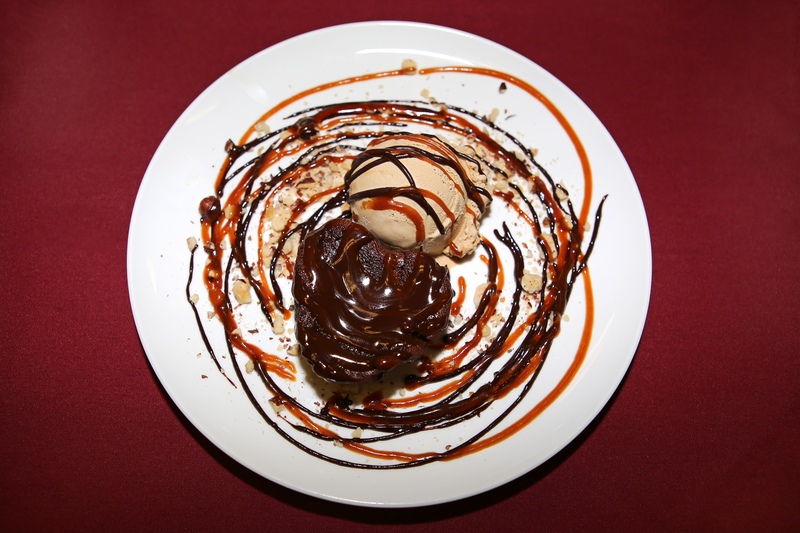 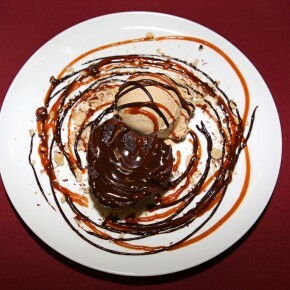 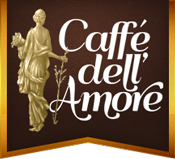 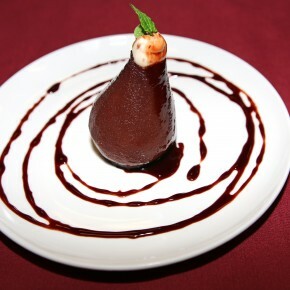 The gelato flavor of the day is the Chef’s choice. 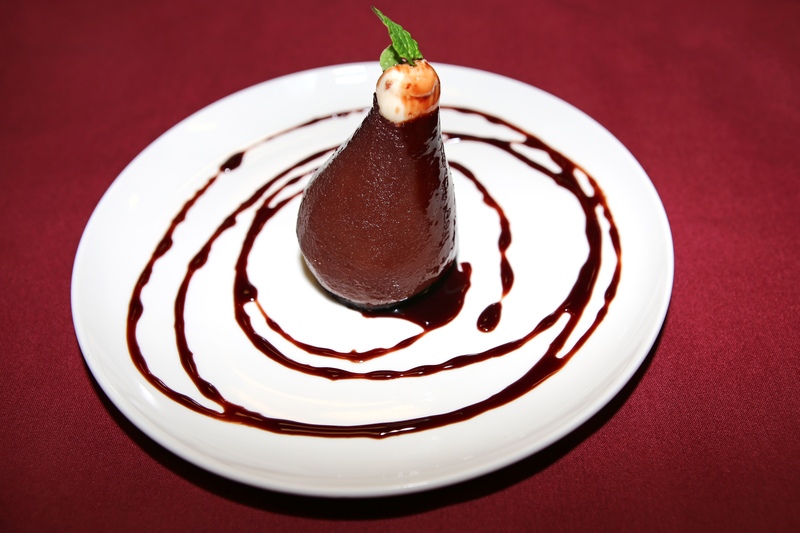 Served with warm chocolate & caramel sauces and roasted hazelnuts..
Organic Bosc pear poached in red wine, honey, cinnamon sticks and vanilla bean, The pear is cored and filled with cinnamon mascarpone cheese, Finished with. 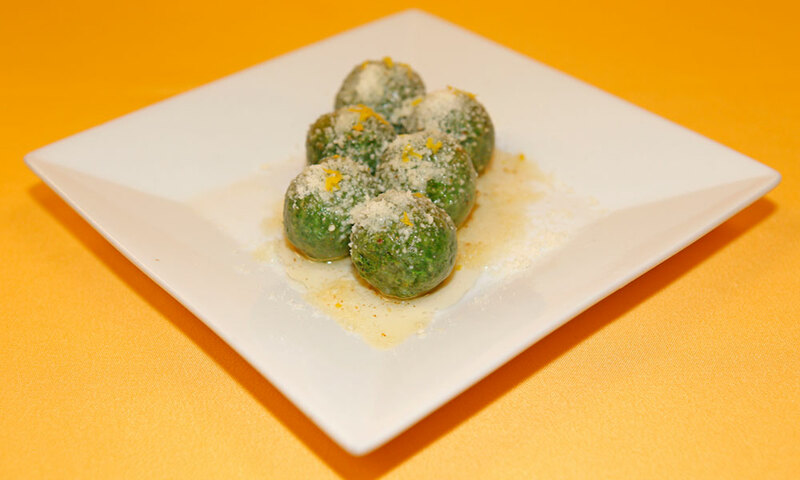 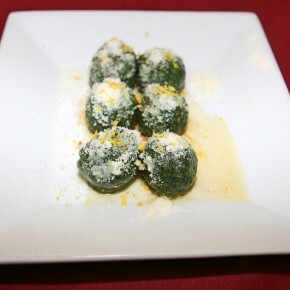 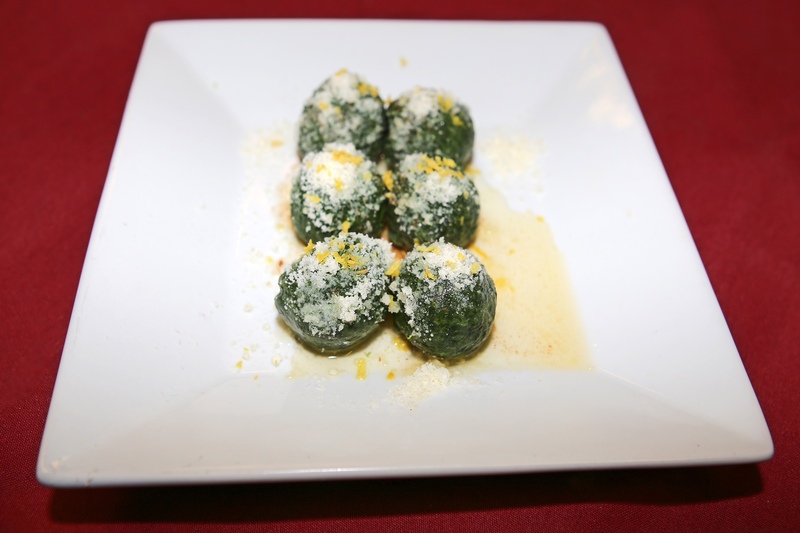 “House Specialty” Fresh, organic, steamed spinach balls, finished with brown butter, crowned with freshly grated Pecorino Romano cheese, and lemon zest So delicate, they melt. 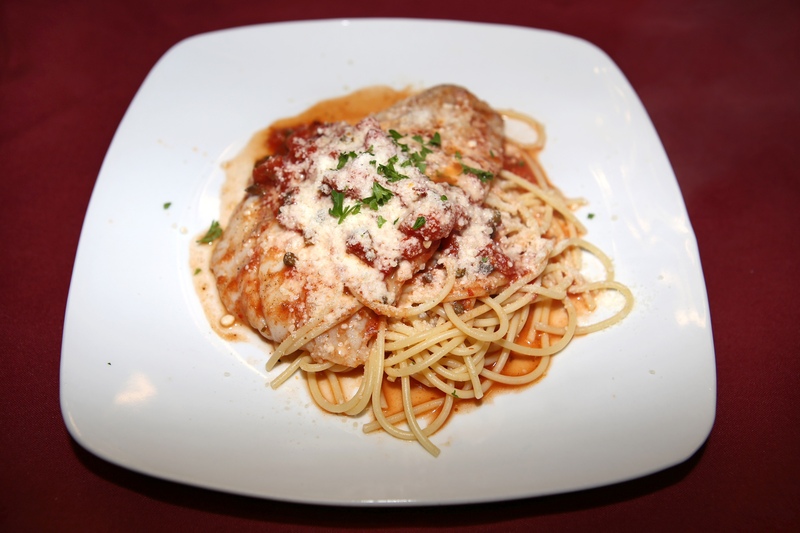 Wild catch Grouper poached in Puttanesca Sauce (a red wine tomato sauce with garlic, capers, black olive, anchovies and a touch of red pepper flake). 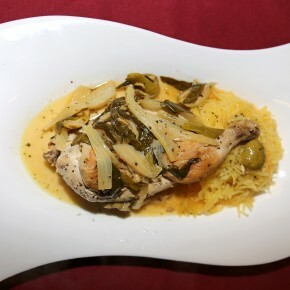 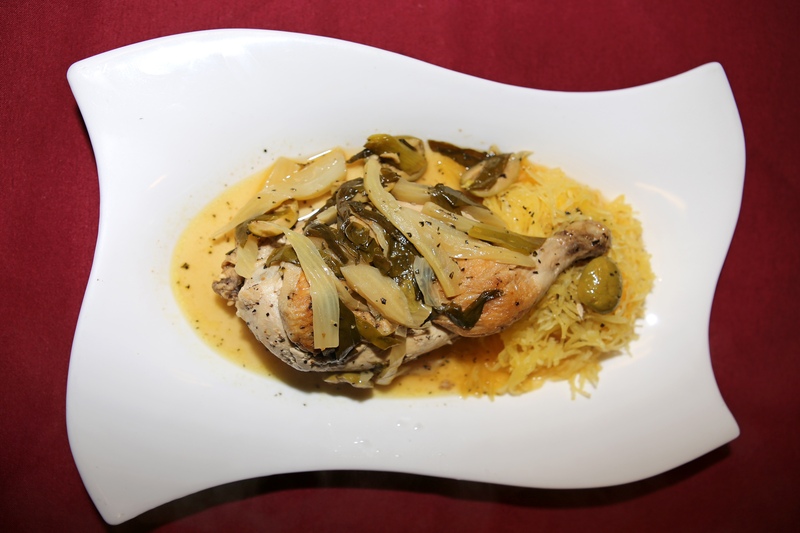 Farm raised Cornish Hen braised in white wine, fresh fennel, imported Italian green olives, scallions, garlic, rosemary and thyme, finished with a touch of Sambucca,. 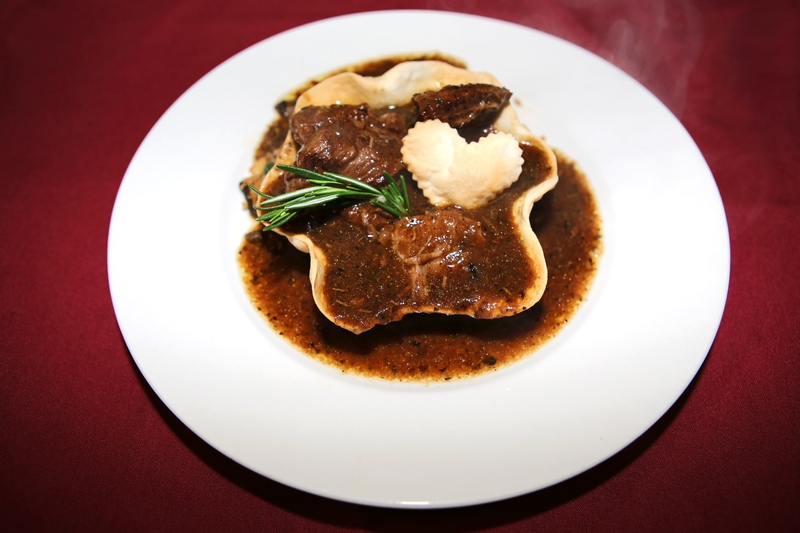 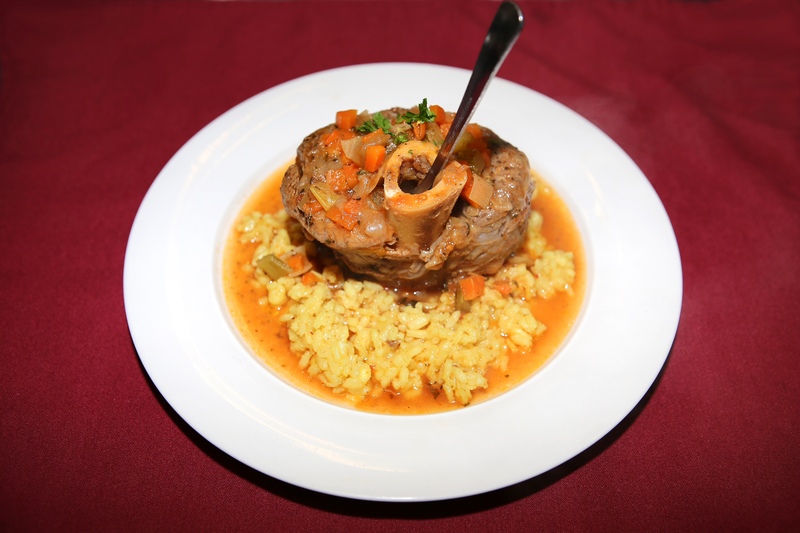 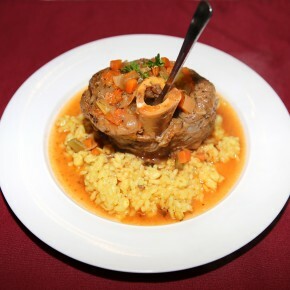 Organic veal shank braised in white wine with organic root vegetables and fresh herbs, served with Saffron Risotto Milanese..
We Brown organic free range beef tips and onions, then slow cook them with fresh herbs and a touch of red wine. 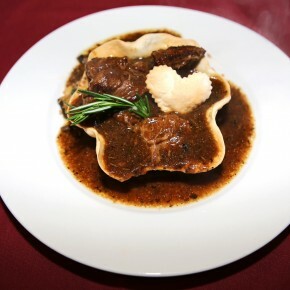 The tender tips.